Hi everyone. I posted this in the Ultimate Edition thread as well, but it'll get lost amongst the other posts there, so I'm making a separate thread for it. I'm the guy who made the Improved Uncensor Mod for Fate/Stay Night (with art from Belldandy100), as well as the Uncensor Mod for Hollow Ataraxia (with art from JB Random and Belldandy100). The Fate/Stay Night Realta Nua - Ultimate Edition mod contains all of Belldandy100's Improved Uncensor Mod images, but by default, only a small number of them get displayed in-game - most are overwritten by what I consider inferior images by Anonymous. While it's personal preference, the fact that I considered them low quality was why I created the Improved Uncensor Mod for Fate/Stay Night to begin with. Luckily Jacktheinfinite101 and the team have awesomely included the ability to switch to using different decensor versions with a simple config file. However, that feature is hidden in a spoiler tag, and there's no clear incentive for anyone to make that switch at the moment since you don't know what you're getting. To make it easy for people, I've also made available a pre-edited configuration file that will re-enable Belldandy100's images as per that gallery. You can get it here: http://www.thornyrosestudios.com/fil...sor_config.dic. Just download it and put it in your Fate/Stay Night Ultimate Edition install directory. (Naturally, just like the default .dic file provided on the front page you can edit the dic file yourself to decide which versions you'd like to use for whichever h-scene). I've tested it in-game and as far as I can see, it works just as expected. I hope this way that a bigger audience will learn of Belldandy100's images and get to see what I personally consider the best decensored version of Fate/Stay Night out there. Lastly: I'd like to extend a huge thank you to Jacktheinfinite101 and his team for making this awesome Ultimate Edition mod, and (at my request) including the ability to choose between decensor versions. 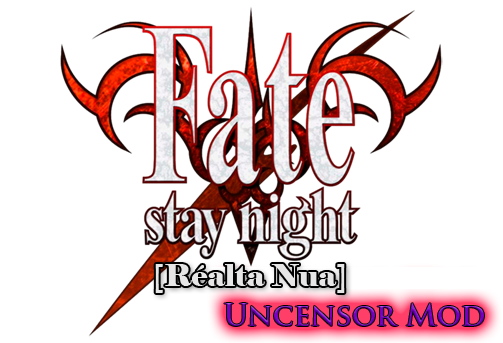 Looking for the uncensor mods for Fate/Stay Night, Realta Nua PC or Hollow Ataraxia?